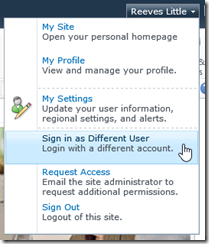 In SharePoint 2013 there is no longer a quickie menu choice to allow you to indulge your alter ego. 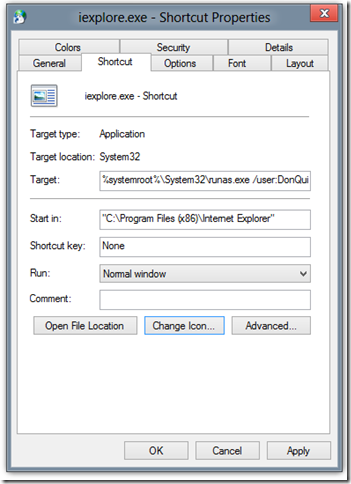 I’ll let others go into depth on why it went a way, but I wanted to share a quick tip for how to be another user when you need to test your SharePoint install: create a desktop shortcut to launch your browser with the runas CL argument. When you created your new SharePoint installation you probably gave yourself Epic Guru level access (it may be called Farm Admin in your version). This is good, it allows you to get tons done. It doesn’t, however, allow you to verify you’ve adequately secured the CEO’s Beanie Baby picture collection, or pretend to be an adoring fan posting to your My Site news feed. To do that, you need to be someone else. For my example I’m going to use Internet Explorer, because I’m an unapologetic company man. You should feel free to swap in your browser of choice… like Netscape or Lynx. Create a shortcut to your favorite browser. 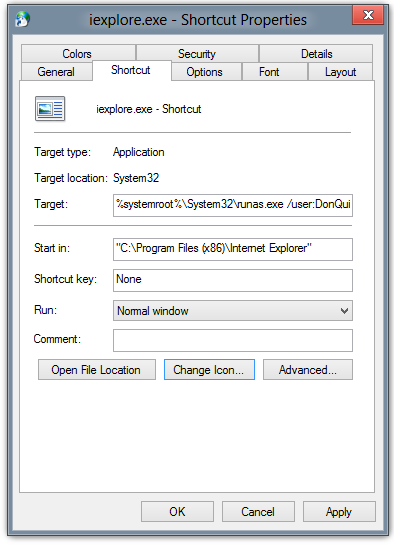 In Windows I did this by navigating to C:\Program Files (x86)\Internet Explorer and dragging iexplore.exe to the desktop (by default this creates a shortcut). Double-click your new shortcut and you’ll get a prompt to enter a password. You won’t see anything on the screen as you type, so just go on faith. Type your pw and hit enter. Once again, right-click the shortcut and select properties. Click the change icon button. I went for the globe with a mouse on top. Just because I want to customize it, don’t assume I have any imagination. Finally, give yourself a reminder that you’re someone else. Double-click your shortcut to launch the browser. When your browser comes up, enable the favorites bar (in IE, right-click the title bar and choose favorites bar). Bookmark a site (any site will do) and add it to the favorites bar. Right click your new favorite and rename it to the user name of the special account. Instant split-personality. Let me know how it works out for you! Very cool. Nice little work around that could be great for demos. Thanks. You’re going to be getting plenty of hits as SharePoint 2013 ramps up. Only works if your client machine is a member of the same domain as SharePoint. Otherwise, nice trick! Thank you for this article. I tweeted a link about it, but I can’t find your name on the blog About section to tag you on Twitter. 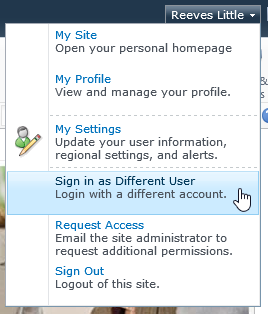 We don’t have 2013, I just wanted an easier way to not have to keep logging in and out all the time. So thanks!